We work hard to deliver the best value to our customers. High-quality and durable materials are selected throughout the design of our shoes, to offer exactly what we expect of health-conscious footwear. Leather is our preferred shoe upper material. The selected high-quality leather we use, coupled with other materials, such as fur, mesh or Lycra neoprene, offer a higher degree of warmth, protection, comfort, stretch or breathability. While all leather is durable and strong, there are significant differences between them. Being a natural product, inconsistencies of colour and texture are a unique characteristic of each of our products. All types of leather have different degrees of resistance because of the techniques used in finishing the hides. Material is correlated to its colour. 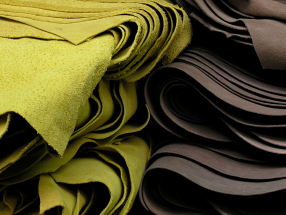 To ensure colour consistency, leather hides are first stripped of all colour and then drum dyed with colour and fade resistant pigments. 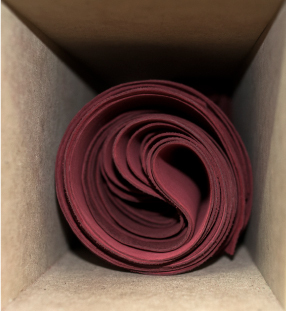 Leather will absorb dye differently, so you can expect colour variation from hide to hide. This guide includes the range of available colours/materials for our products. Please note that these are intended as a guide only and should not be regarded as absolutely precise. ARTIFICIAL LEATHER :: This man-made resistant material is produced to look or function like leather. COATED SPLIT :: Leather that has been specifically treated to prevent the entry of water. CROCO :: Imprinted crocodile design onto leather to simulate crocodile skin. FUR :: Fur offers timeless beauty, warmth and long-lasting durability. CALF :: Calf is a very soft, fine grain leather, which offers suppleness and exceptional durability. MESH :: Mesh is a high-quality blend of fabrics that creates a lightweight and breathable textile, both soft and quick-drying. METALLIC NAPPA :: The uniqueness of this material is given by a metallic foil or powder that, when applied to nappa, makes it lustre and reflective. NAPPA :: Durable and protective, leather is a soft, natural material that is both, breathable and insulating. 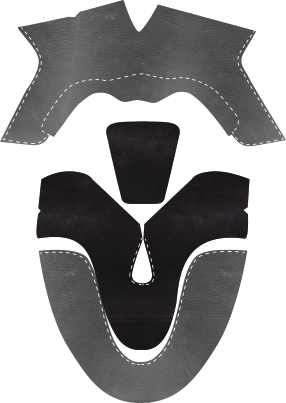 It adapts to the shape of the foot, maximizing comfort and individualized fit. Leather controls feet temperature, providing warmth in cold temperatures and coolness in hotter temperatures. DOUBLE-FACE :: Double-face combination features a nappa, aniline or split upper side and a wool lining. Mainly used for boot legs and slipper uppers. WAXED NUBUCK (NUBOID) :: Developed by Klaveness, this waxed nubuck has a slightly brushed surface and is drummed with scotchgard and grease, which results in a water resistant, durable, soft and comfortable material. OXFORD LEATHER :: Leather that has been specifically treated to prevent the entry of water. PRINTED NUBUCK :: Nubuck that has been treated with a special printing technique to enhance the surface appearance. REAL FUR :: Real fur is a naturally thermostatic and breathable material, wicking heat and moisture away to keep your feet dry and at body temperature. For boot leg tops. REPTILE :: Reptile design that has been imprinted onto leather to simulate reptile skin. SPLIT :: All leather hides have to be split into two layers because a hide is too thick. The bottom layer is known as split leather, generally thinner and lighter weight. SPLIT EMBOSSED :: Decorated split leather resultant by pressing a heated die onto the surface. STRETCH :: Results from a stretchable combination of materials, and adapts optimally to the shape of the foot, ensuring wearing comfort. STRETCH NAPPA :: This stretchable material results from a nappa-textile combination, and adapts optimally to the shape of the foot, ensuring wearing comfort. STRETCH NUBUCK :: This stretchable material results from a nubuck-textile combination, and adapts optimally to the shape of the foot, ensuring wearing comfort. VEGETABLE LEATHER :: Vegetable leather is traditionally tanned with vegetable tanning agents, derived from certain plants and woods. VELOUR :: Velour is extremely robust and breathable and resembles velvet in look and feel. WAXED TEXTILE :: A composite man-made material made of two layers: a backing layer made of textile combined with an external waxed surface. WOOL BLEND FELT :: Wool felt (90% wool+10% polyester) is a high quality natural fibre, with excellent properties: it is skin-friendly, breathable, and heat-insulating, which helps keep feet at the right temperature. Lining is the inner shoe material that stays in contact with the foot. Its main purpose is to cover the inside seams and lengthen the shoe's lifespan. Lining materials must essentially provide optimal temperature regulation and draw out moisture. Soft and seam-free lining with foam padding, can, simultaneously, offer excellent comfort and protection. Klaveness' footwear linings can be made out of a variety materials. ARTIFICIAL LEATHER :: Artificial leather lining is a breathable material that allows airflow, which helps keep feet dry and cool. CHROME-FREE LEATHER :: Chrome-free leather is perfect for those who are allergic to chrome (a substance commonly used in the tanning process). It is particularly suited for children shoes since these tend to be less resistant to chrome. COVERLINING/MICROFIBER :: Very durable and soft, this extremely fine synthetic fibre dries quickly and is easy to care for. COVERLINING WITH FOAM :: With extended cushioning and insulation properties, this extremely fine synthetic fibre increases comfort and eases pressure points. FELT :: Felt is made of wool or fur fibres, matted together and rolled flat. LEATHER :: Not only is leather an important upper material, it also is exceptional for lining. Leather is a natural material that is both breathable and insulating, and confers a general feeling of well-being. It absorbs moisture and has a temperature-regulating effect. Gentle on the skin and with a pleasant hand feel, smooth leather lining can also help prevent injuries caused by friction against stitches. LYCRA :: Lycra is a blend of stretch fabric, ideal for a soft lining. REAL FUR :: Featuring warm insulation, real fur lining provides added warmth as it is a naturally thermostatic and breathable material. SYMPATEX :: SympaTex provides protection against the elements and is 100% waterproof. Simultaneously, it is environmentally friendly. SYNTHETIC :: Synthetic lining is made of porous, breathable material that allows airflow. The major advantage is it dries quickly and is easy to care for. TEXTILE :: Made of woven or knitted fibres, textile lining is absorbent and breathable, which makes it hygienic and comfortable for the feet. WOOL BLEND :: Cold weather shoes lined with a wool blend help retain heat and absorb moisture without a damp feeling. W-TEX :: W-tex is a water resistant and breathable membrane. HOW DO WE REPRESENT EACH UPPER COLOUR/MATERIAL COMBINATION? Each colour/material combination is represented by a three digit number (eg. Grey nappa is 764). If a shoe upper has more than one colour/material this will be indicated by an hyphen (-) between each colour numbers (eg. Grey nappa and Grey reptile is 764-719). The ranking of the colour numbers starts from the front of the shoe towards the heel.